"Rumblings in the Middle East!" For most Christians the subject of Israel in Prophecy does not immediately have an appeal as an important doctrine. When one begins to study prophecy in the Bible, however… it soon becomes evident that Israel is the centre of biblical prophecy and that to understand prophecy as a whole one MUST consider God’s purpose for Israel. In the history of prophetic interpretation the study of Israel often has been neglected, with the result that prophecy as a whole has not been understood. Many attempts to twist prophecies about Israel as referring to the church, and the widespread neglect of biblical revelation about Israel, resulted in no attention given to Israel until revived interest again in prophecy in the 20th Century directed attention once again to Israel’s prophesied future. God foretold the entire panorama of future events concerning the Jewish people, and every word came true. Prophecy, even a relatively short-term prophecy like the one God gave Abraham, is important (Genesis 21). If there is any doubt that the word of God is accurate, consider the prophecy concerning a city called Tyre (Southern Lebanon) in Ezekiel 26. God forecasted the end of Tyre and that many nations would come against it (vs. 3). He prophesied that Tyre's walls and towers would be broken down (verses 4 - 9); the stones, timbers, and debris of the city would be thrown into the sea (vs. 12); its location would become a bare rock and a place for fishermen to dry their nets (verses 4 - 5; 14). Tyre was no insignificant fishing village! It was a great city of Phoenicia and a prominent world capital for over two thousand years. Yet at the peak of its power, the prophet Ezekiel predicted a violent future and end for the mighty city of Tyre. History proved Ezekiel's words! Many nations did come against Tyre: first the Babylonians, then the Greeks, the Romans, the Muslims, and the Crusaders. After a thirteen-year siege, Nebuchadnezzar of Babylon broke down Tyre's walls and towers and massacred all of its inhabitants, except for those who escaped to an island fortress a half-mile out in the Mediterranean Sea. Centuries after Ezekiel had spoken, Alexander the Great conquered the island fortress of Tyre by building a causeway from Tyres’ mainland to the island, using the millions of cubic feet of rubble from the destroyed city. Tyre was conquered, just as Ezekiel has prophesied! World Leaders have made major decisions in to what they read in ancient biblical prophecies. Prophecy is when God pre-wrote the headlines of today using inspiration, dreams, visions, or divine visitations by revealing future events often thousands of years before they occur to the prophets. Israel has achieved an unusual independence and military strength since 1948 and has greatly enlarged the original territories assigned to her then. This has however been one of continual turmoil to the Arab world, both in and outside of Israel, who are in constant conflict with Israel over her presence in the Middle East. As any observer will soon learn, Israel’s ultimate desire is not for territory but for peace, and therefore Israel has made no attempt to regain the territory promised by God to Abraham in Genesis 15: 18 – 21. Israel’s borders are under treat! 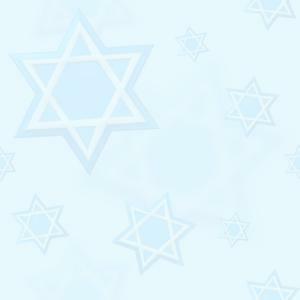 2011 will be a very critical year for Israel. Last year Israel’s closest ally in the region, Turkey, officially made a dramatic turnaround by calling home its Ambassador from Israel and lining up behind Israel’s number one enemy Iran. The year has already begun with profound changes taking place in the Middle East very quickly. What had begun with demonstrations in Tunisia ousting the president through a military coup, being the first Arab ruler to loose power through a public uprising has sent shock waves through the Arab world, especially Israel’s neighbours Egypt and Jordan with whom Israel has long standing peace treaties. To stir up and fuel an already burning fire, Al Jazeera, the largest TV network in the Arab world, revealed secret information about the Palestinian leadership’s peace negotiations with Israel; the so-called ‘Palestinian Papers’, which very well could bring about their fall. The information is interpreted by the Palestinian public as a betrayal of their cause and the PA government is hanging on by a very loose thread. Not long afterwards the government of Lebanon collapsed and most likely will be replaced and led by Hezbollah in the future and controlled by Iran. The new leader has, however, stated that he will not cut Lebanon’s ties with the United States, which after all is not so strange when considering the current President in the White House has declared the United States of America as one of the largest Muslim nations in the world. Then came the greatest shock of all ~~~ Egypt; the home to the most ancient civilization in the world, and also the most important Arab country; the most populous of all the Arab nations (80 million plus) - and sits in the centre of the Middle East; geographically and culturally. What happens in Egypt influences all Arabic-speaking countries! America's key regional ally and the first Arab state to make peace with Israel, Egypt is the pivot for the region. The vital Suez Canal is controlled by Egypt. The repression of the people by President Hosni Mubarak led to the ‘people’s revolution’ which in turn led to his ousting after 30 years in power. An Islamist takeover in Egypt would be a massive crisis because the country has so much influence in the peace process with Israel. The regime change in Egypt could see the Muslim Brotherhood take the helm, and that would have incalculable consequences for the region. The Israeli government has noted with concern the fact that, even after 30 years of peace, Egypt's army is still equipped and trained mainly with a possible war against Israel in mind. A cancellation of the peace treaty with Israel would open up a new front with the 11th largest army in the world, which is equipped with modern American weapons. But what Israel fears more than a -- somewhat unlikely -- armed conflict with Egypt is an alliance between an Islamist regime in Cairo and Hamas, which considers itself an offshoot of the Muslim Brotherhood. The extremely radical Muslim Brotherhood, which worked closely with Adolf Hitler during WW II and has founded both Al Qaeda and Hamas in Gaza, is waiting in the wings to cease power. The ramifications for Israel and the West are enormous. Israel has enjoyed a "cold peace" with Egypt for over 30 years. The Egyptian army, as well as its navy and air force, all built up by the US during this time, are much larger than Israel’s. The Israeli Defence Forces are completely unprepared for a military conflict with Egypt. The Muslim Brotherhood has promised that if they gain power their first action will be to break the peace treaty with Israel. Isaiah 19 ~~~ These are the days when the Bible is its own best commentary. Imagine Isaiah the prophet standing on the streets of Cairo today speaking in front of the mainstream news camera declaring; "The burden against Egypt; Behold, the LORD rides on a swift cloud, and will come into Egypt; the idols of Egypt will totter at His presence, and the heart of Egypt will melt in its midst. "I will set Egyptians against Egyptians; everyone will fight against his brother, and everyone against his neighbour, city against city, kingdom against kingdom. The spirit of Egypt will fail in its midst; I will destroy their counsel, and they will consult the idols and the charmers, the mediums and the sorcerers. And the Egyptians I will give into the hand of a cruel master, and a fierce king will rule over them," Says the Lord, the LORD of hosts (Isaiah 19:1-4). If you read Isaiah 19, it will explain a lot of what is taking place right now in Egypt. You see the process looks very ugly in the beginning of the chapter… but the end God is merciful and the result is amazing. For countries like Britain and the U.S., the arrival of democracy in such dictatorships may sound like a good thing. But in Arab countries where democracy has been introduced - however tentatively - it is usually the Islamists who come to power. For example Democracy comes to Gaza and the Islamist group, Hamas, takes power. That’s why the Muslim Brotherhood, the main opposition group in Egypt, is looking confident. It senses its time is coming. So, paradoxically, this is why the pro-democracy U.S. has spent the past 30 years propping up dictatorships like Mubarak. Democracy may bring change, but it could well also bring their worst nightmare - an Islamist crescent spreading from Pakistan in the East to Morocco in the West, a pan-Arabian commonwealth where suddenly the word Islamist is no longer shorthand for terrorist, but describes government policy. Jordan~~~ For all its ancient sites, Jordan was created in 1946 by the end of the British Empire. Made up of a desperately poor populace and more than a million of the country's seven million population are Palestinian refugees. King Abdullah has been a popular ruler but faces trouble over rising food and energy prices. Recently he sacked his government following protests inspired by Tunisia and Egypt. If Abdullah were to fall, an anti-fundamentalist regime is the likely outcome. The risk of violence would be between royalists and the Palestinian refugees. Jordan is sandwiched between Israel, Syria, Iraq and Saudi Arabia, which gives this desert country its strategic value. However with no natural resources of is own, it relies on American aid for its survival. Every government in the Middle East with at least a somewhat peaceful relationship with Israel and the West has in recent weeks either fallen or is about to fall into the hands of Islamist radicals supportive of Iran. In the midst of it all Iran has recently sent two war ships through the Suez Canal into the Mediterranean Sea of which one ship was in fact carrying missiles! Who and what are "The Muslim Brotherhood?" According to The Jewish Virtual Library: the Muslim Brotherhood is also called Muslim Brethren (In Arabic: Jamiat al-Ikhwan al-muslimun, literally Society of Muslim Brothers) and is an Islamic organization with a political approach to Islam. It was founded in 1928 by Hassan al-Banna in Egypt after the collapse of the Ottoman Empire. The Brotherhood has branches in 70 countries. Their ideology: They oppose secular tendencies of Islamic nations and want to return to the precepts of the Qur’an, and the rejection of Western influences. Their motto is as follows: "Allah is our objective. The Prophet is our leader. Qur’an is our law. Jihad is our way. Dying in the way of Allah is our highest hope." 1) The Muslim Brotherhood has taken a greater role in organizing the protest against the Egyptian regime as it unfolds its independent political agenda. Rashad al-Bayumi, the Brotherhood’s second-in-command, announced in an interview with Japanese TV that the group would join a transitional government in order to cancel the peace treaty between Egypt and Israel, as it "offends the Arabs’ dignity and destroys the interests of Egypt and other Arab states." He further stressed that Egypt does not need American aid. 2) The Brotherhood’s official website notes that jihad is Islam’s most important tool in effecting a gradual takeover, beginning with the Muslim countries, moving on to re-establishing the Caliphate over three continents in preparation for a conquest of the West, and finally instituting a global Islamic state. 3) Jihad has a global strategy beyond self defence; it is the increasing attack on every "infidel" government, intended to widen the borders of the Islamic State until all mankind lives under the Islamic flag. The Threat from Iran~~~ Ever since the revolution in Iran in 1979, Iran has vowed to destroy Israel and "liberate Jerusalem from the Zionists." For years Israel has tried to convince the world and especially the USA that Iran is the number one threat, not only to Israel but to the Middle East and the entire Western world. So far, President Obama has refused to listen, claiming instead that the lack of peace between Israel and the Palestinians is the number one problem that must be dealt with and by focusing on "Jewish settlements." God’s payday against Ahmadinejad is coming! Unless President Ahmadinejad of Iran is prevented by a military pre-emptive strike, he will soon have nuclear power to make his maniacal dream of a nuclear holocaust a reality. He has threatened on international TV and the world press to "wipe Israel off the map." The reality is that President Ahmadinejad believes that if he starts WWIII, the Islamic messiah will appear suddenly and mysteriously. Ahmadinejad believes that he has the power and the duty to bring this about. Remember; history teaches us that those who fail to remember the mistakes of the past are doomed to repeat them! One of the most tragic events of recent history was Hitler's Holocaust against the Jewish people during World War II. There are a number of lessons that we can learn from the Holocaust, but one of the most important is this: when a maniac threatens to kill you, take him at his maniacal word. When Hitler began his threats to kill the Jewish people, few took him seriously. That was a tragic mistake. Ahmadinejad is the new Hitler of the Middle East. He wants a nuclear holocaust. There is comfort and consolation in Ezekiel 38, prophetic portrait of the world tomorrow. The message is that God is in total control of what appears to be a hopeless situation for Israel. He has deliberately dragged these anti-Semitic nations into Israel to crush them so that the Jews of Israel and the nations of the world will know that He is the Lord and there is no other. America and Europe will not save Israel ... God will! Ezekiel reveals a day coming when God's fury explodes against the nations that have tormented His chosen people with relentless wars, suicide bombers, and endless terror. Ezekiel writes a full description of God's anger: "My fury will show in My face" (Ezekiel 38: 18). Probably, quoting Isaiah 19:2 Yeshua (Jesus) warned that kingdoms would rise against each other in Matthew 24:7. Unlike nation coming against nation, which alludes to world wars, "kingdom against kingdom" refers to regional conflicts. Christ taught these prophecies would come upon the world like birth pains. Like a woman about to deliver her newborn, these events are foretold to come with increased frequency and intensity each building the other. Psalm 83 predicts the Arab kingdom will someday rise against the Jewish people to banish the name of Israel forever. Both Egypt and Saudi Arabia along with eight other Arab populations join the Arab World in this pending prophetic war. (See also our teaching newsletter study article "Psalm 83"). 2011, has suddenly seen the governments of Lebanon, Tunisia, Egypt and Libya became severely challenged. The government of Jordan is expected to be next. Lebanon, Egypt, and Jordan are involved in Psalm 83 and Tunisia appears to take part in the Ezekiel 38 & 39 prophecy. It a good time for Christians to familiarize themselves with the prophecies of Isaiah 19, Isaiah 17, Jeremiah 49, Psalm 83, and Ezekiel 38 & 39. These are a few of the world changing prophecies stage setting on the prophetic horizon. GAZA~~~ Hamas; meaning "Islamic Resistance Movement") is a Palestinian Islamist political party. It also has a military wing, the Izz ad-Din al-Qassam Brigades. Hamas is classified as a terrorist organization by a number of governments, including those of Israel, the European Union, the United States, Canada and Japan. Hamas denies that the Holocaust existed! Based, largely upon the principles of Islamic fundamentalism and was founded as an offshoot of the Egyptian Muslim Brotherhood in 1987, during the First Intifada against Israel. Sheik Ahmed Yassin declared in 1987 that Hamas was founded for the purpose of Jihad, to liberate Palestine from Israeli oppression and to establish an Islamic state "from the Mediterranean Sea to the Jordan River." Hamas' 1988 charter calls for replacing the State of Israel with a Palestinian Islamic State in the area that is now Israel, (Judah and Samaria) the so-called West Bank, and the Gaza Strip. The charter identifies the conflict as a "struggle against the Jews." SYRIA~~~ has long demanded the Golan Heights as part of any deal with Israel. The Golan looks down on Israeli population centres as well as the Sea of Galilee and has twice been used by Damascus to launch ground invasions into the Jewish state. News media accounts routinely billed the Golan Heights as "undisputed Syrian territory" until Israel "captured the region" in 1967. The Golan, however, has been out of Damascus' control for far longer than the 19 years it was within its rule, from 1948 to 1967. Even when Syria shortly held the Golan, some of it was stolen from Jews. Tens of thousands of acres of farmland on the Golan were purchased by Jews as far back as the late 19th century. The Turks of the Ottoman Empire kicked out some Jews around the turn of the century. But some of the Golan was still farmed by Jews until 1947, when Syria first became an independent state. Just before that, the territory was transferred back and forth between France, Britain and even Turkey, before it became a part of the French Mandate of Syria. Syria and Iran are the main backers of Hezbollah, Israel's implacable enemy in Lebanon! Iran, Libya, Syria, Iraq, Jordan, and Egypt all want the destruction of Israel. And especially Iran and Syria who would like to control Jerusalem as it was in the days of the Babylonian and Persian empires. They believe that Muhammad is their prophet and is the one that all people should acknowledge. There is no more urgent time to pray for Israel than now! God has commanded us to pray for the peace of Jerusalem (Psalm 122:6). When we in fact pray for Israel’s peace we are actually praying for the Lord’s return, since there will be no true peace in Israel until the Prince of Peace returns! Israel is an embattled democracy that historically has had to defend itself repeatedly against the armies of neighbouring Arab states whose declared goal was and still is for Israel's total eradication. Without Israeli control of the relevant territory east of the 1967 line, there is no way the Israel Defence Forces can prevent the firing of rockets and mortars from the hills dominating Ben-Gurion International Airport. One mortar shell per week in its vicinity will be enough to stop air transport completely. What does God have to say about Israel? We sincerely believe that those who stand with Israel especially during these very difficult and challenging days will be blessed. God’s Word is true! He is watching to see how the nations are treating His people. And God will have mercy on Israel through Gentile believers acting as mediators towards them. This is one of the most amazing revelations ever given to the church – an opportunity to do something that carries the highest priority in the heart of God. Yet so few have seen the potential and the rewards of serving God in this manner, as agents of mercy to Israel! 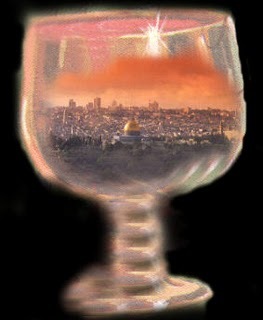 "May He who blessed our forefathers, Abraham, Isaac, and Jacob, bless the soldiers of the Israel Defence Forces, who stand watch over our land and the cities of our Lord, from the Lebanese border to the desert of Egypt and from the great sea to the verge of the wilderness, on land, in the air, and at sea. May God strike down before them our enemies who rise against us. May the Holy One save and spare our soldiers from all forms of woe and distress, of affliction and illness, and may He invest their every action with blessing and success. May he vanquish by their means those who hate us, and may He adorn them with a crown of deliverance and a mantle of victory. Thus may the verse be fulfilled: "For it is the Lord your God who marches with you to do battle for you against your enemy, to bring you victory. Now let us respond. Amen."